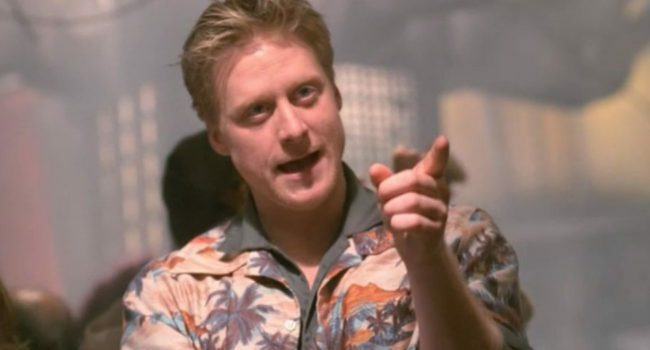 In Battlestar Galactica, Kara Thrace, call-sign “Starbuck” (Katee Sackhoff), is the best Viper pilot in the flee, insubordinate, a drunk and a gambler. One of the few thousand humans left after the human-created machine race of Cylons attacked Earth, she goes through a series of personal, professional and spiritual trials as they struggle to find a new home planet. 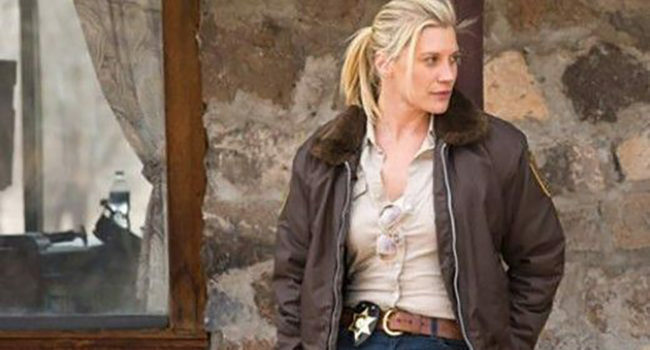 Willing to try anything and often found at the bar, she’s a tough chick with a wounded heart. 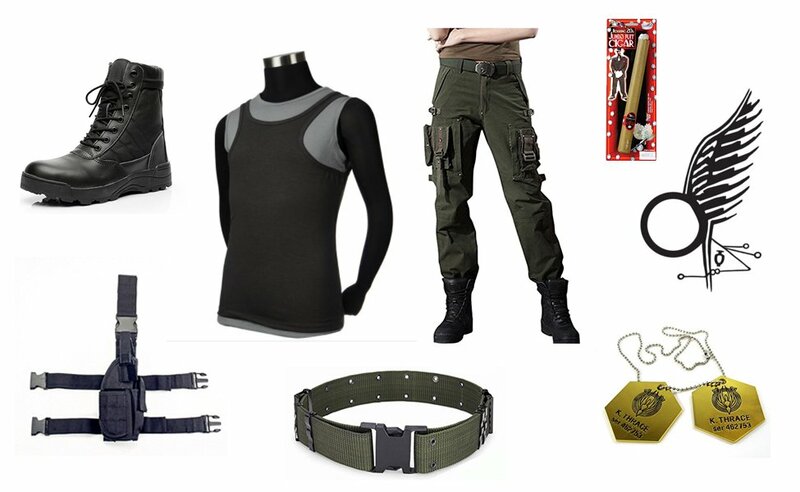 Like the rest of the soldiers, she wears the signature double tanks. 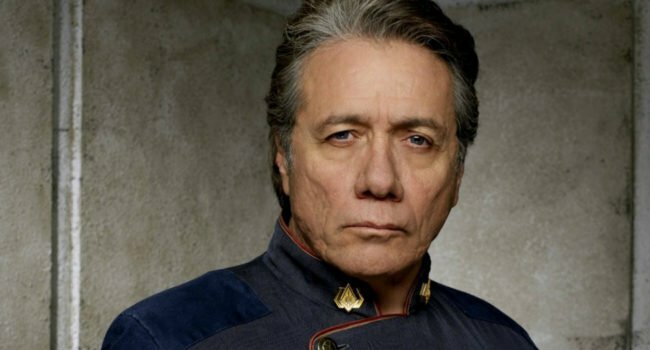 William Adama (Edward James Olmos) is Commander of the interstellar battleship Galactica and Admiral of the fleet on the hit sci-fi show Battlestar Galactica. A stern, taciturn, moral man who bears the weight of responsibility for the last lives of humanity, Adama protects the fleet from threats both inside and out. A man of tradition and respect for the military, he wears officer duty blues with Commander and Admiral pips and patches. 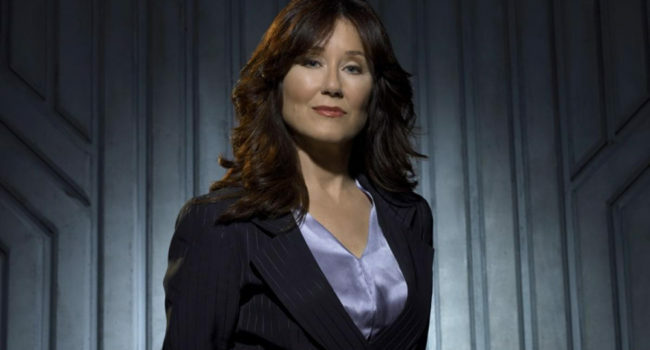 Promoted from Secretary of Education to President after the Cylon attack on Earth, Laura Roslin (Mary McDonnell) leads the human survivors on a quest to a new home world in the TV show Battlestar Galactica. A divisive figure, she never wavers from her steadfast determination to do what’s best for the colony, even if that means taking suspect measures. As President she wears a professional suit with her famous auburn locks and signature glasses.